Continuing to pioneer the use of embedded technologies in space, Aitech recently developed a modular I/O interface unit for the Israeli “Beresheet” (Genesis, meaning “In the beginning”) lunar lander, which launched late last month. The rugged, space-qualified A445 IBOX was designed to coordinate communications between the vessel’s control computer, actuators and sensors as well as manage power for the entire spacecraft. Launched on SpaceX’s Falcon 9 rocket, Beresheet was created through the Israeli non-profit SpaceIL and is intended to land on the moon’s surface to perform experiments and transmit that data back to Earth. 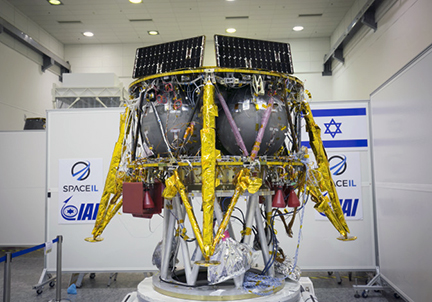 Space IL's and IAI's Beresheet lunar lander. 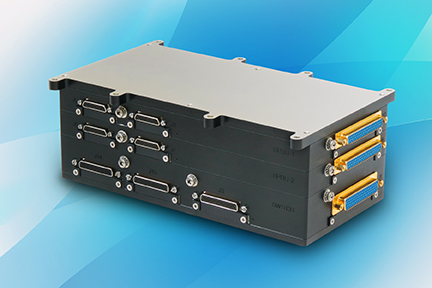 The innovative FPGA-based design of the I/O interface unit enabled the engineering team to provide very specific functionality that meets the stringent SWaP (size, weight and power) requirements that is so critical in today’s —– and future — unmanned space missions. Aitech’s extensive experience in radiation-tolerant environments ensured the system was built to withstand the harsh demands of interplanetary space travel and lunar operations. Dani Kord, GM for Aitech, noted that to be a part of Israel’s first lunar voyage is quite an honor. This mission adds to the firm's legacy of successful involvement in several space programs, which include the ISS, Curiosity Mars Rover and numerous other Earth and lunar orbital satellites and subsystems.